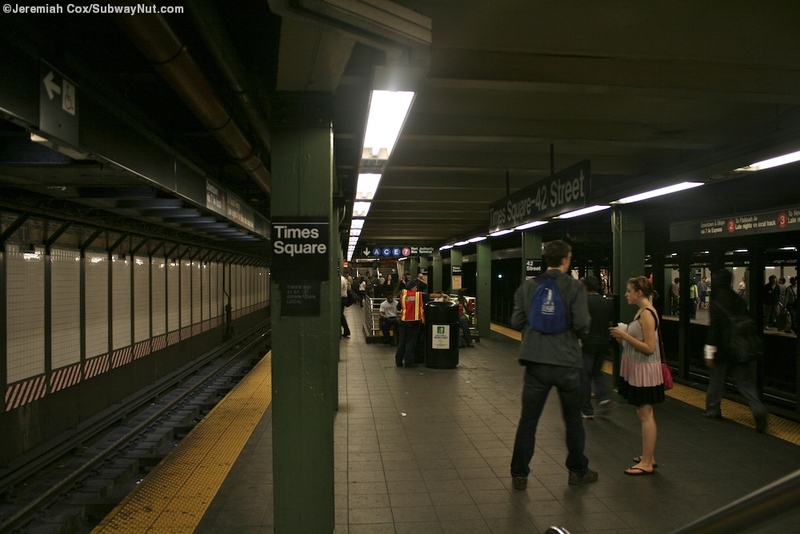 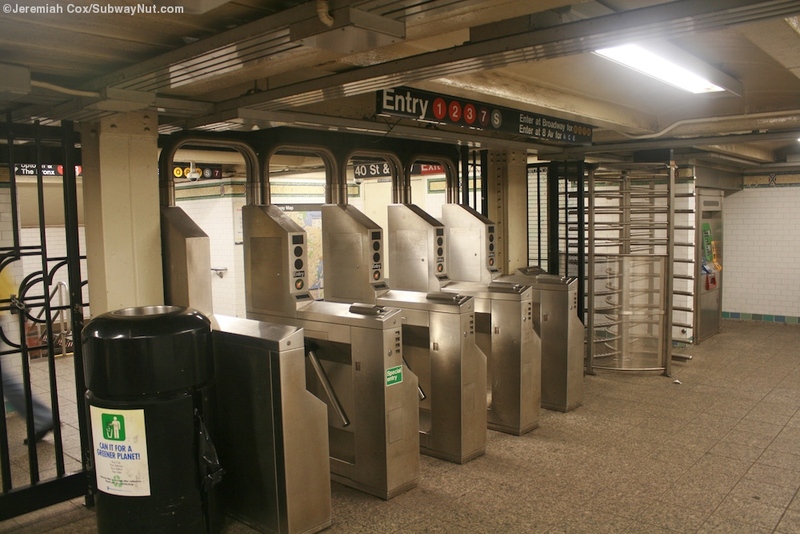 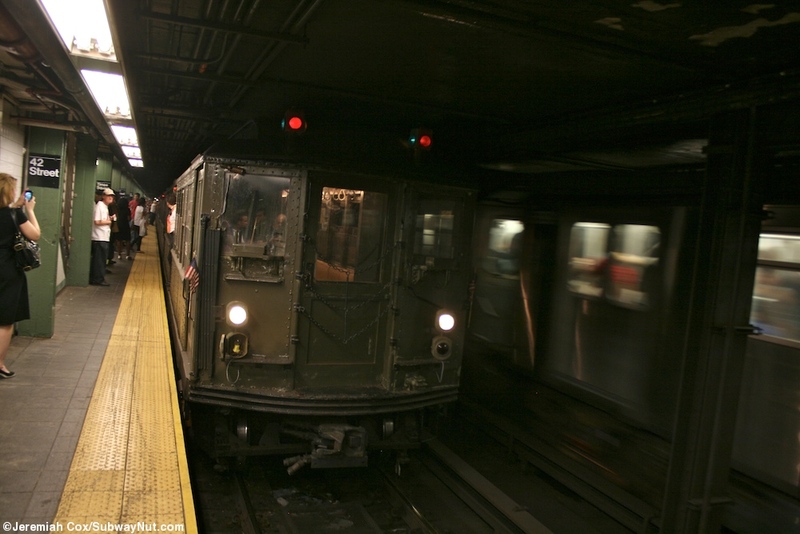 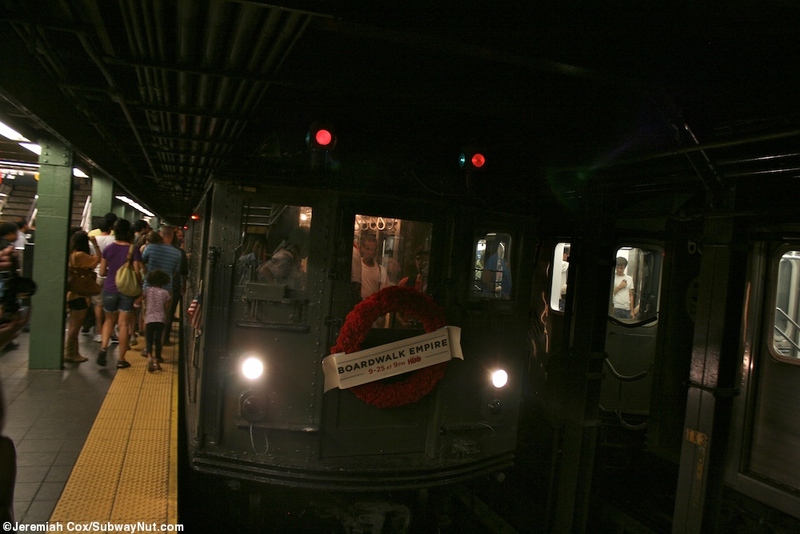 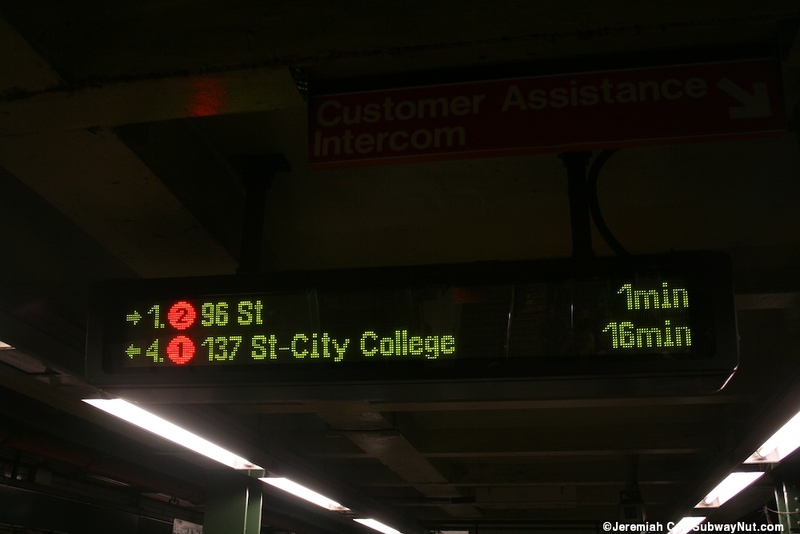 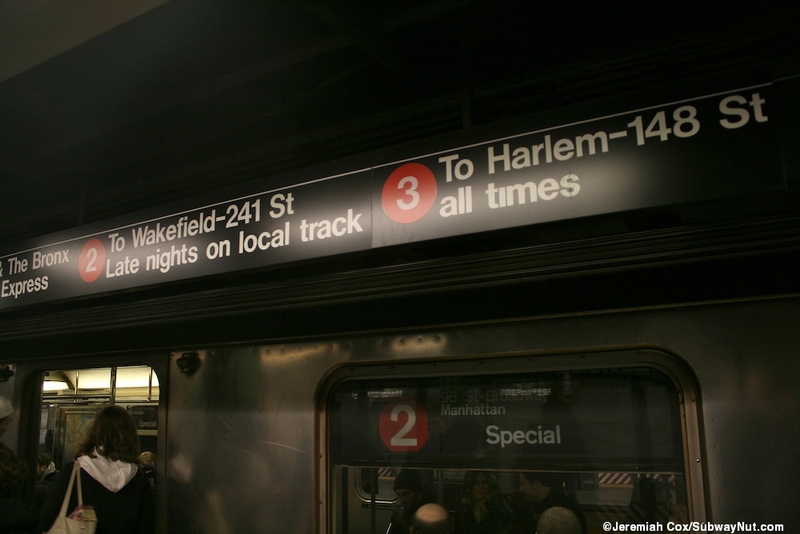 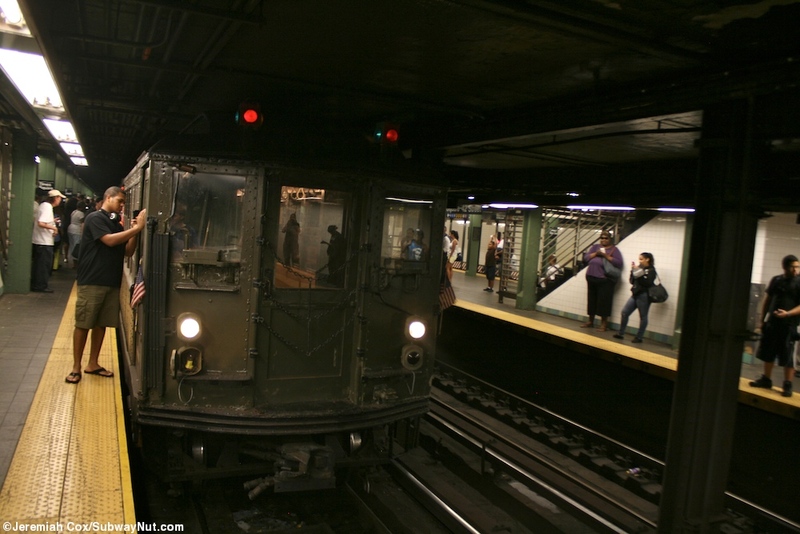 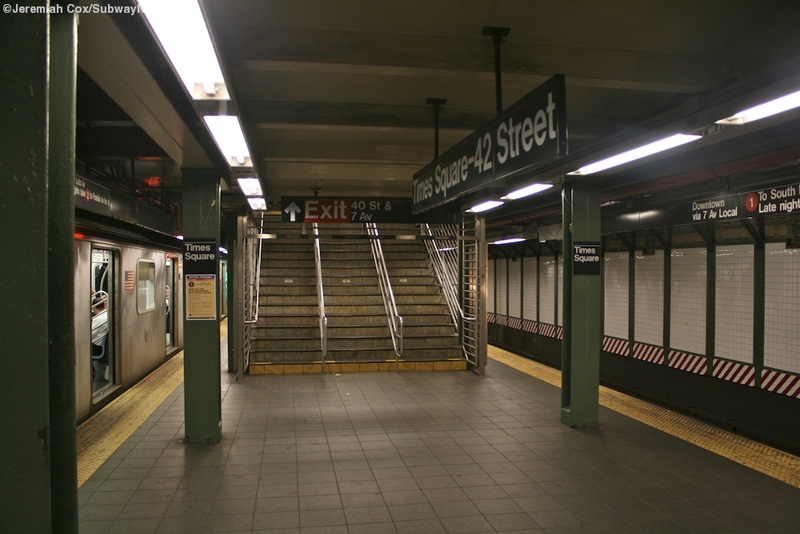 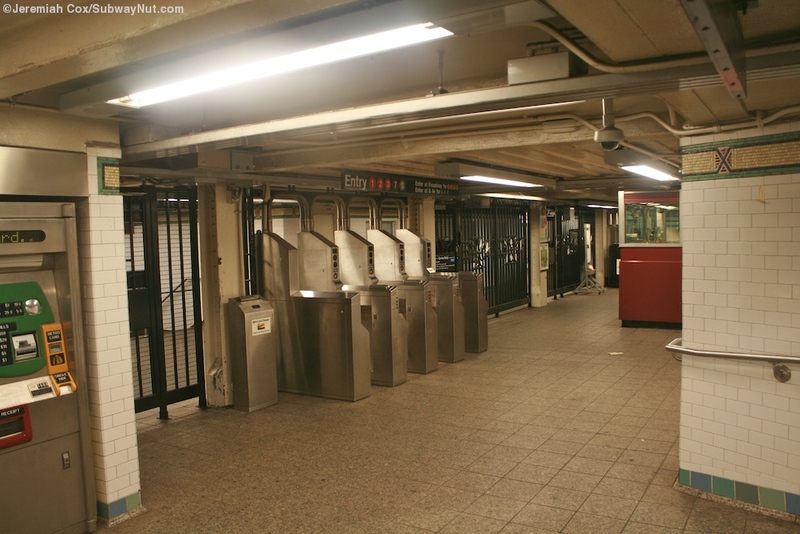 The 1,2,3 trains at 42 Street-Times Square have two island platforms for the four track line that run from 42 Street south to 40 Street. 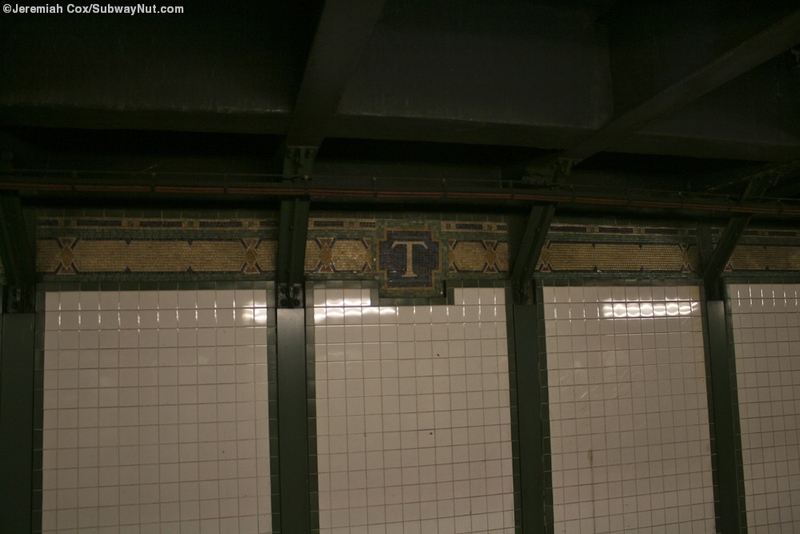 The walls have a relatively hard to see and photograph golden trimline with a green border and little white Ts on a blue background. 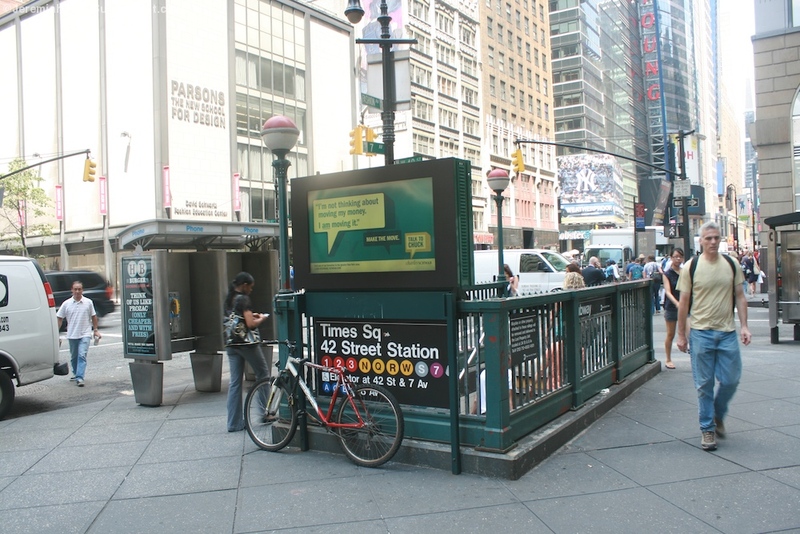 Each platform edge (giving each platform two sets) is lined with green columns whose station name signs alternate between Times Square and 42 Street. 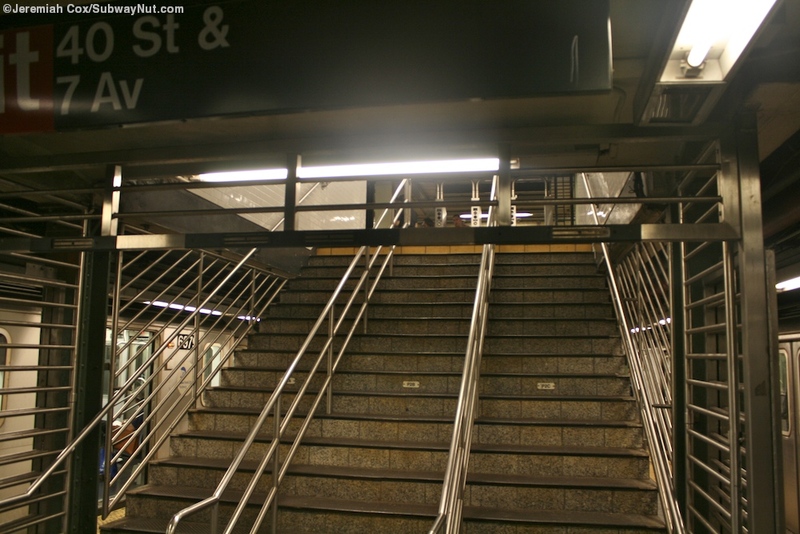 For access: At the extreme northern end of each platform a wide staircase leads up to the upper mezzanine beneath 42 Street, this is followed by a second only from the uptown platform between 42 St and 41 Street. 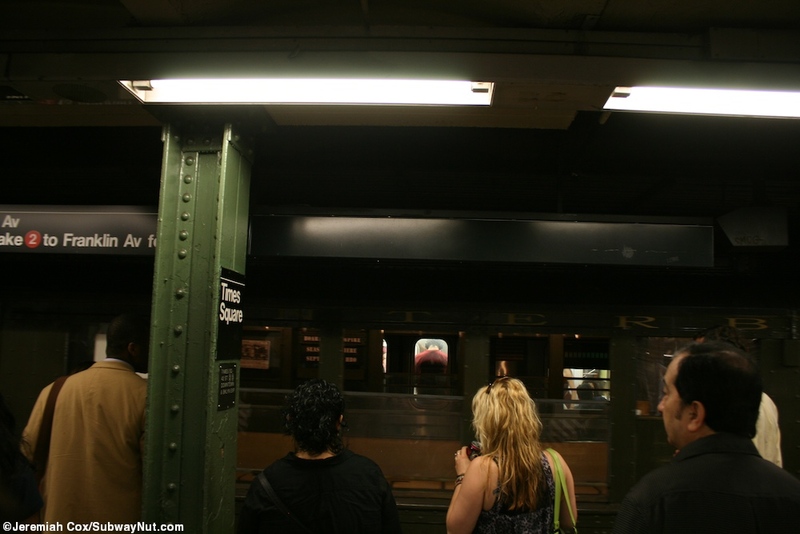 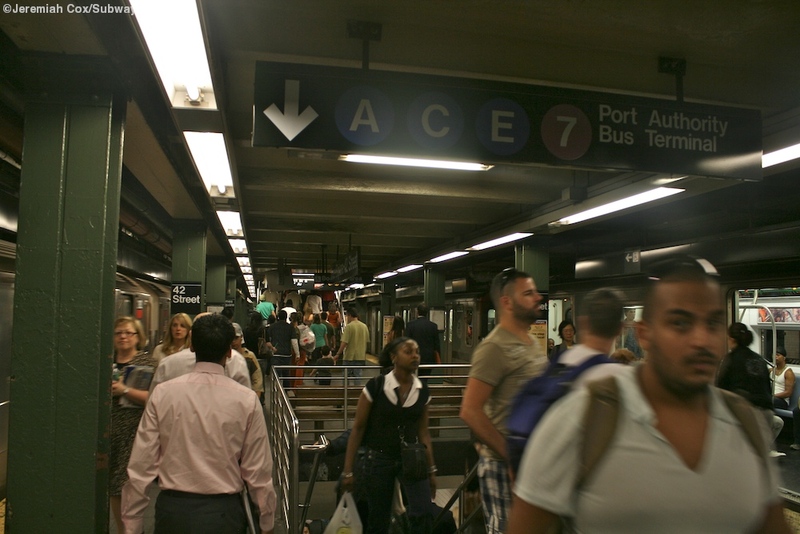 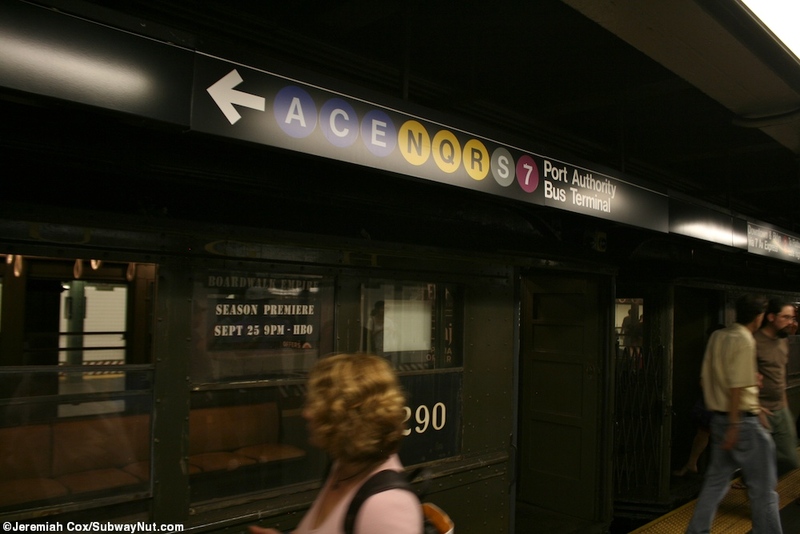 Next on each platform beneath 41 Street is a staircase down to the lower level mezzanine for the 7 train and the walkway to 8 Avenue and the A,C,E trains, then by two staircases up from either platform to the upper mezzanine with platform elevators here, . 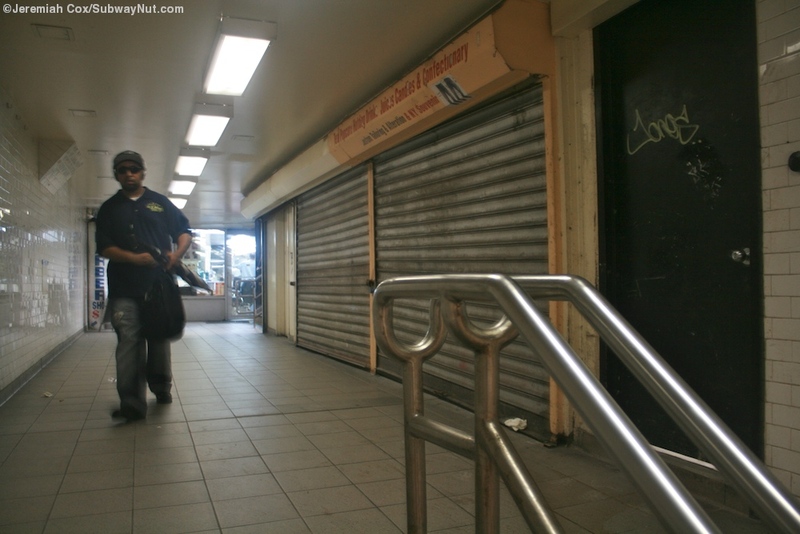 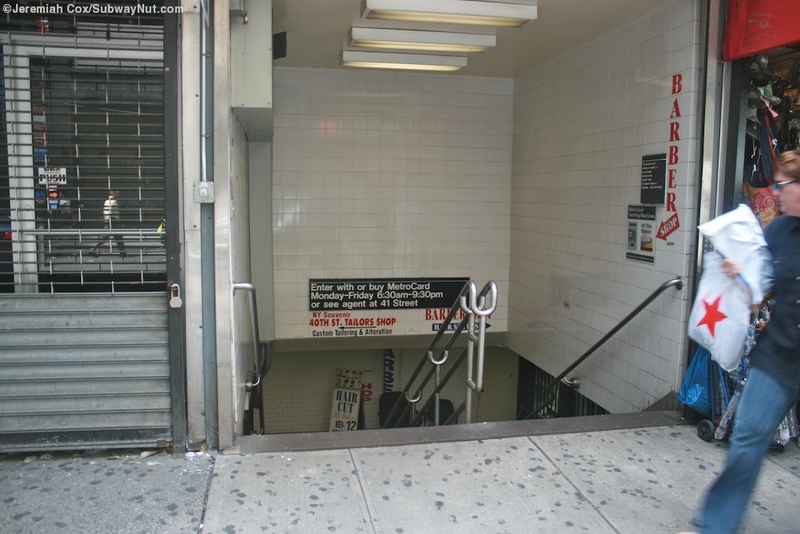 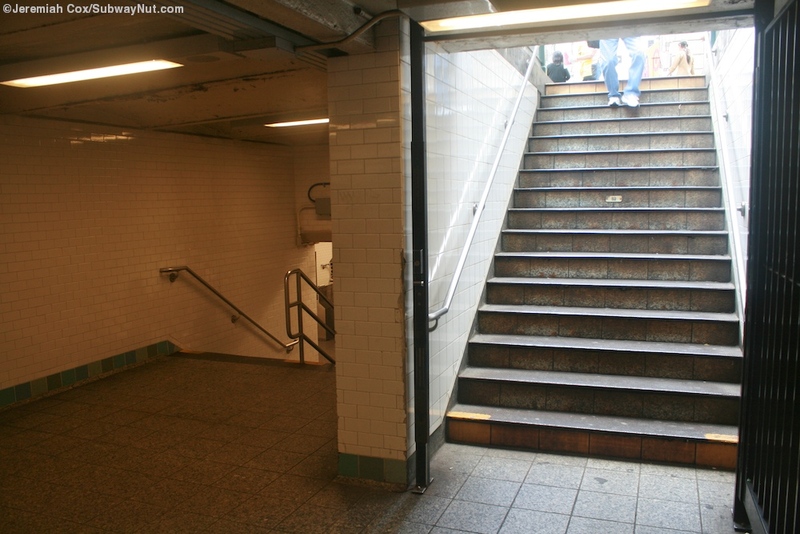 At the southern end of the platforms a staircase that can be closed off leads up to a small, narrow fare control area providing a free crossover, and leading up to a conventional street stair at the SE corner of 7 Avenue and 40 Street and a passageway through a small shopping arcade with a Tailor Shop and Barber Shop before the staircase up to 40 Street near the SW corner. 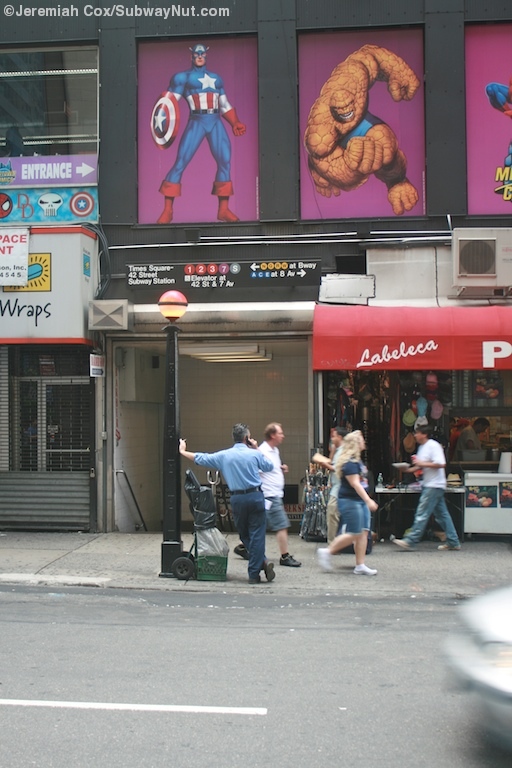 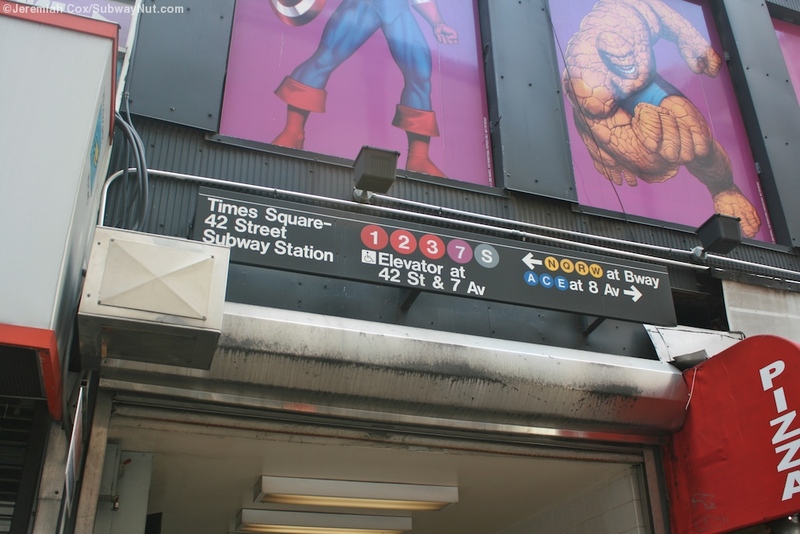 This exit is signed for the 1,2,3,7,S with signs and arrows pointing the direction (on the SW corner entrance) for the A,C,E enter at 8 Avenue, and the N,Q,R at Bway.